Home / Manic Mondays! • Pretty In Pinky / Manic Monday! Pinky GLOWS After Meeting The Cast of the new Netflix Series! Britney Young! Alison Brie! 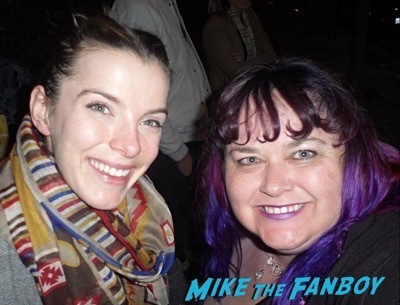 Betty Gilpin! 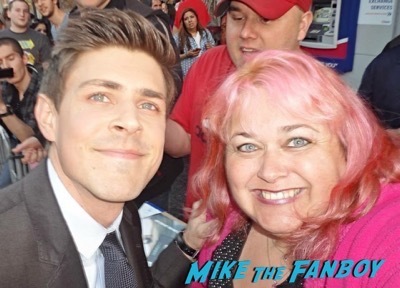 Chris Lowell! And More! Manic Monday! Pinky GLOWS After Meeting The Cast of the new Netflix Series! Britney Young! Alison Brie! Betty Gilpin! Chris Lowell! And More! The series GLOW is really popular, in fact I hear so many people talking about it, the series must be great! Pinky headed out to meet one of the cast members to add to her ever growing collection from the series! Check it out below and check out Pinky’s location hunting! I love it! Hello, my lovelies. 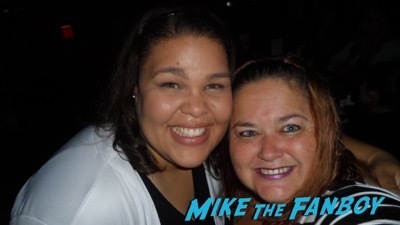 Pinky Lovejoy-Coogan here still pinching myself that I was able to get a picture with Carmen Wade herself, Britney Young. Who’s Carmen Wade, you ask? Well, if you’ve been watching the AMAZING Netflix show called GLOW, you’d know exactly who Carmen Wade was because she’s one of the best things about the show. Actually, the whole cast is great. The show is phenomenal and I’m not sure why they haven’t announced the second season yet. Regardless, I highly recommend it. When you get a chance, you should definitely check out it (you can thank me later). So, ever since we finished binge watching the show, I’ve been following Britney Young on Twitter to see when she might be out and about promoting something or performing somewhere. I love following her on Twitter because it appears that she responds to each and every fan who tweets her. I love it. I love such friendly stars! 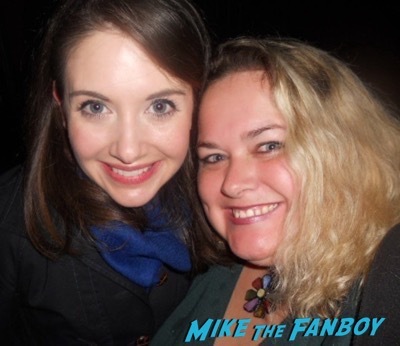 Last week I saw that she’d be a guest on a UCB show at 11pm on Friday night. Now, that’s usually way past my bedtime (especially after the week I had with all that traveling), but for Britney I made an exception. I bought two tickets, but, sadly, Keith came home from work sick that day. Boo. Still, I wasn’t missing Britney! Once I made sure Keith was comfortably resting, I headed out to the show. I arrived way too early since parking can be tricky there and was the first person in line for the show. Great people watching area, though! I saw tons of stars! Out of the corner of my eye, I spotted Britney and asked someone to hold my place in line so I could go talk to her. Sure, I could have been patient and waited, but, no. I was too excited! On Twitter she frequently tweets about Movie Nights at her place, so I had Keith sign a copy of Adventures in Babysitting for her and I gave it to her as a gift. She was super excited! She said she and her sister used to watch it growing up. Score! In person, Britney was exactly as I’d hoped she’d be – like a long lost friend. 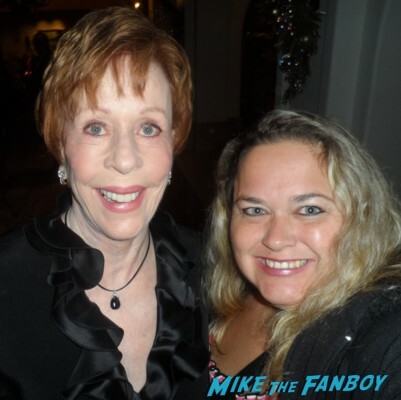 She was so sweet and cool! And she gives great hugs! 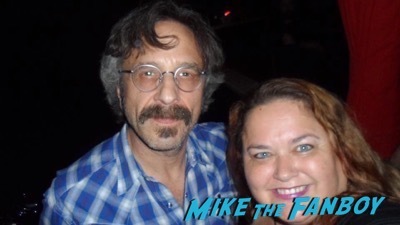 We took a few pictures together, chatted a bit, and then I went back in line to wait for the show (which was a lot of fun). So stoked I had the opportunity to meet one of my newest faves! Thanks, Britney, for being so sweet! but there are so many other people on the show…I’ve got a long way to go. Hopefully one day…. 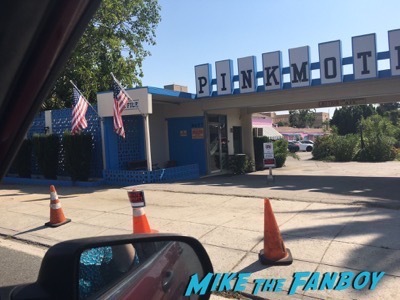 Oh, and this is totally out of character for me, but we were near the Pink Motel recently where they filmed GLOW and we had to stop for some pics. 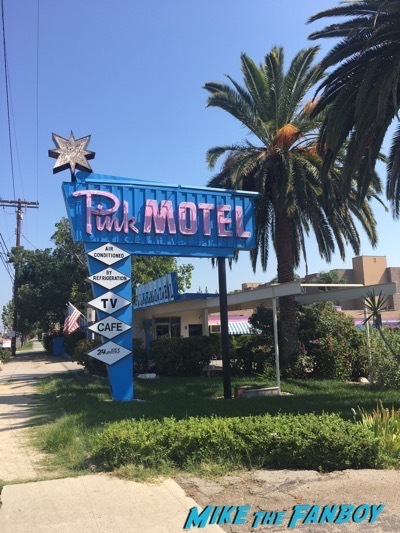 Pinky the Location Scout! J LOL. So fun to see where they shot the show. Manic Mondays! 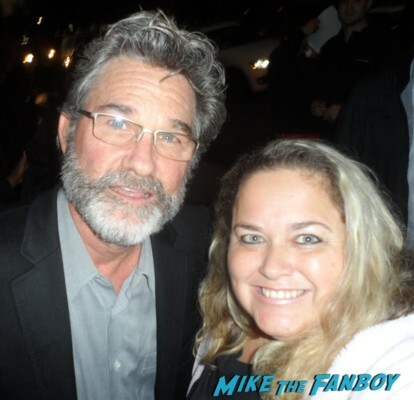 Pinky Meets None Other Than Jack Burton AKA Kurt Russell! Dying Now! Overboard Madness! Manic Monday! 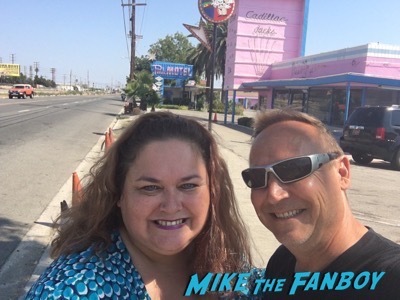 Pinky Is Married… With Children After Meeting The Cast! Ed O’Neill! Christina Applegate! Amanda Bearse! Katey Sagal! David Faustino! And More! RIP Nelsan Ellis! Remembering The True Blood Star After Leaving Us Way Too Soon!